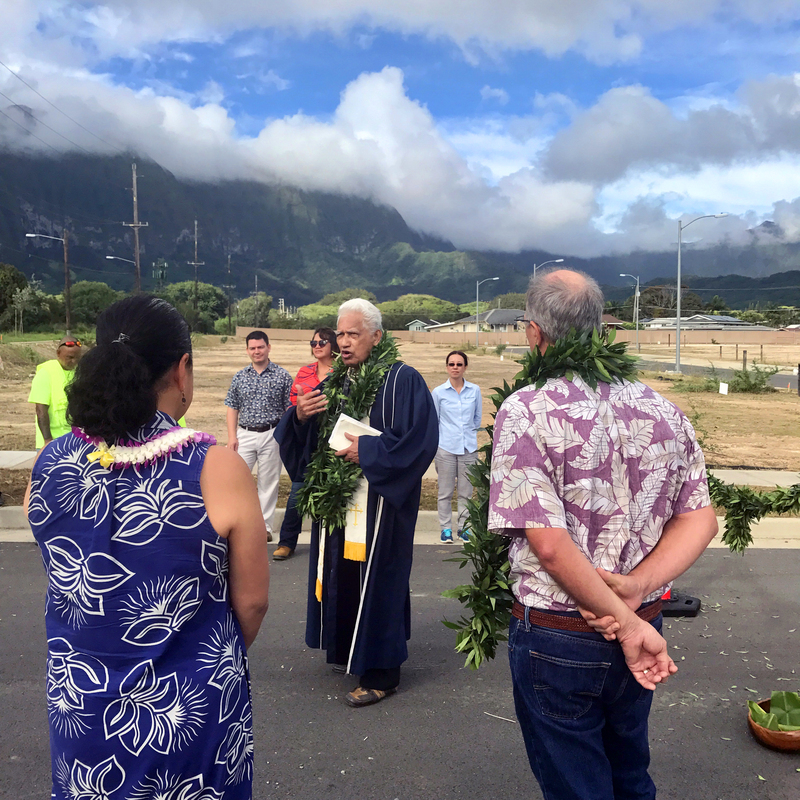 WAIMĀNALO, OʻAHU – The future homestead lots for 15 native Hawaiian ʻohana were blessed this morning in the new homestead community of Kakaʻina in Waimānalo, Oʻahu. 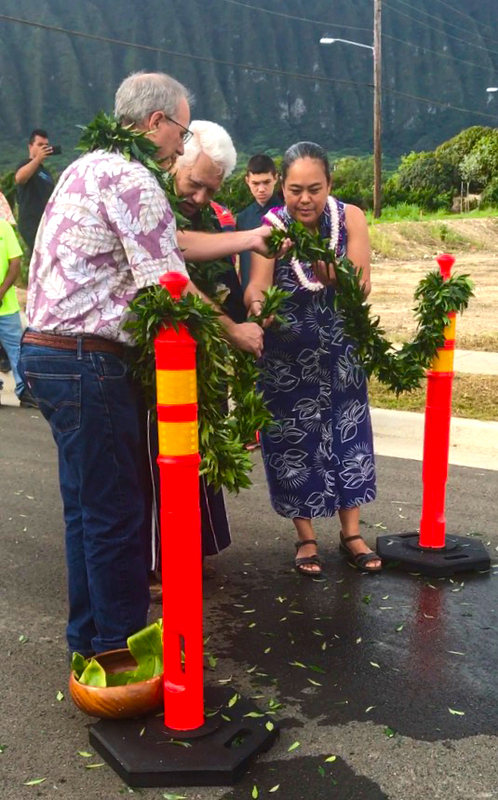 Today’s ground blessing ceremony marks the beginning of home construction in Kakaʻina and lays the foundation for a smooth and successful build by local contractor Armstrong Builders. 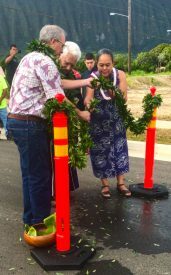 Kahu David Kaʻupu led Hawaiian Homes Commission Chair Jobie Masagatani and Armstrong Builders President James Keller in the traditional untying of the maile lei, and later ushered ceremony attendees through the ceremonial threshold. 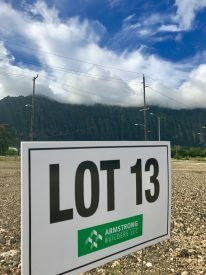 The beneficiaries who will soon call Kakaʻina home chose their homestead lots at the Department of Hawaiian Home Landsʻ Lot Selection Ceremony in October 2016. Home construction is slated for completion by the end of this year. This is the fourth project the Department of Hawaiian Home Lands has undertaken in partnership with Founder & CEO Bob Armstrong and his development team. 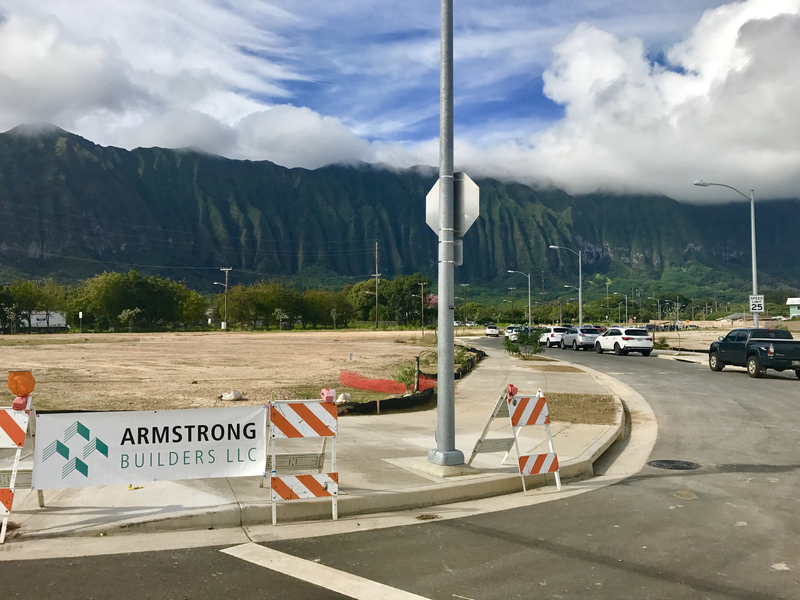 The homes in Kakaʻina’s sister subdivision Kumuhau also in Waimānalo were also built by Armstrong Builders. The 45 eco-friendly homes in Kumuhau garnered multiple design and construction awards, including the Home of the Year Award by Green Builder Magazine in 2011 and the Grand Award at the 2011 EcoHome Design Awards. 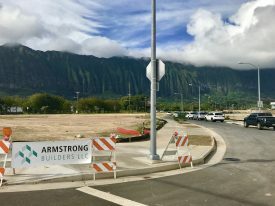 An additional 15 Hawaiian homes beneficiaries who selected lots in Kakaʻina late last year will either build their own home or have selected their own contractor. These beneficiaries will begin construction within the next several months. The department will also be going out for another round of lot selection for the remaining 15 homestead lots in the 45-lot Kakaʻina subdivision before the end of the year.